Our lead product candidate, UBX0101, is designed to treat musculoskeletal disease with an initial focus on osteoarthritis. This product candidate is a potent senolytic small molecule inhibitor of the MDM2/p53 protein interaction. Disruption of this protein interaction can trigger the elimination of senescent cells. Our IND application has been cleared by the U.S. FDA, and we plan to initiate a Phase 1 clinical trial in osteoarthritis in the second quarter of 2018. UBX1967 is our second lead product candidate for the potential treatment of ophthalmologic diseases. UBX1967 is a potent senolytic small molecule inhibitor of specific members of the Bcl-2 family of apoptosis regulatory proteins. Senescent cells utilize pro-survival mechanisms to remain viable and rely on specific Bcl-2 protein family members to persist and accumulate in tissues. We plan to submit our IND application and commence a Phase 1 clinical study in an ophthalmological indication in the second half of 2019. 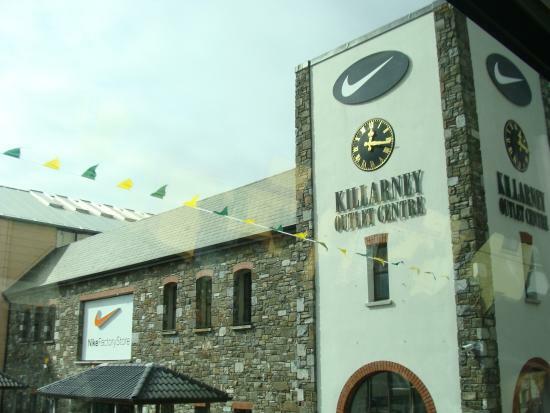 Picture Of Irlanda Killarney Killarney Outlet Centre Summary: This double-blind, randomized, placebo-controlled Phase 1 study is evaluating the safety, tolerability and pharmacokinetics of a single intra-articular injection of UBX0101 into the femoro-tibial joint of patients diagnosed with moderate to severe painful osteoarthritis of the knee. For patients or physicians interested in learning about eligibility criteria for the trial, please visit clincialtrials.gov.